A passion for uplifting communities and providing housing for all, coupled with innovative technology, has resulted in an invitation to South African company, Moladi, to show its concept at the Cooper-Hewitt, National Design Museum, Smithsonian Institution’s exhibition, “Design for the Other 90%: CITIES”. The prestigious exhibition, sponsored by the philanthropic Rockefeller Foundation, takes place at the United Nations in New York from 15 October 2011 to 9 January 2012. More than 60 innovations from 22 countries will be on show. Following on from the groundbreaking “Design for the Other 90%” in 2007, the “CITIES” edition will explore the challenges that are expected to arise from the unprecedented growth predicted in urban areas and informal settlements. It is said that the population of these settlements will double by 2030. CITIES will explore ways to address the basic struggle to survive faced daily by 5.8 billion people, or 90% of the world’s population of 6.5 billion. Almost half of these people have no access to clean water, food or shelter. There is a desperate need for practical and sustainable solutions. With this in mind, designers, engineers, architects and social entrepreneurs from all over the globe are developing cost-effective ways to increase access to basic amenities such as food, water and housing, as well as energy, education, healthcare, income-generating activities and affordable transportation – services that 10% of the world takes for granted. Moladi founder, former artisan Hennie Botes, said he is “extremely excited” about the upcoming Smithsonian exhibition, and hopes the event will be a “window to the world” on a workable solution to the global housing shortage. 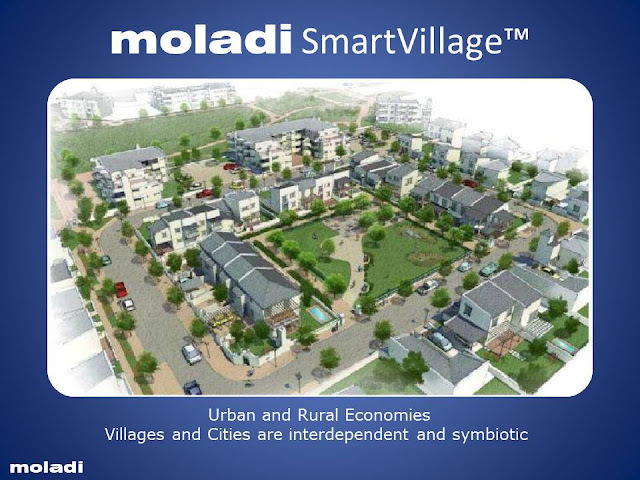 The Port Elizabeth-based Moladi, founded in 1986, will be showcasing one of these potential solutions – its revolutionary technology designed for the speedy construction of durable low-cost housing. The first Moladi house was built in 1987 and, 24 years later, it is still standing. Although the concept was not originally intended for the low-cost market, it has become cheap enough that low-income families can afford a good quality home. The cost of a Moladi home depends on factors such as the finishings used and the number of houses built; but, in general, will come in at around a third to half that of a comparable house built of bricks. Moladi uses a patented injection-moulded plastic formwork system to cast sturdy, high-quality walls. With the emphasis on quality and efficiency, the process is cheap and requires minimal skill, and is simple enough to offer real benefit to the end user. 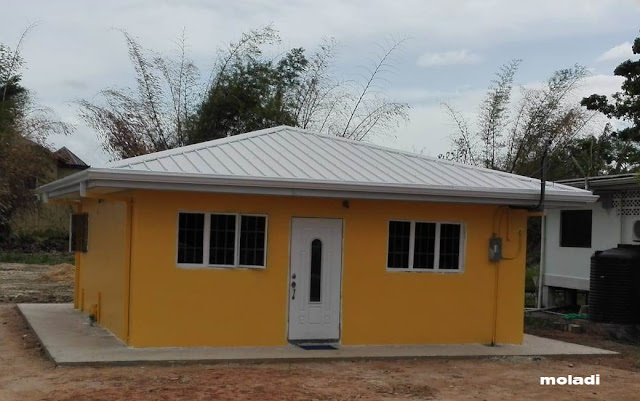 It takes between three and five weeks to assemble the moulds and various parts but, once this is done, according to Botes, a two-bedroomed house with an area of 60 square metres can be finished off in a day. However, this revolutionary construction system is not limited to housing: clinics, classrooms and custom construction projects have been successfully completed in various countries. Multi-level buildings are also possible. Lack of resources, insufficient funds, skills shortages, work flow control and waste are key challenges to affordable housing. Moladi’s technology addresses these issues, which is why its technology is seen as one of the solutions to housing needs throughout the world. The innovation has received several accolades, including the 2006 National Innovation Housing Competition Award – given jointly by banking group, Absa, and the National Home Builders Registration Council – and the SABS Design for Development Award 2007. 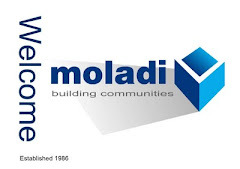 Part of Moladi’s success lies in job creation within the communities it serves, by using and training the locally unemployed and, in so doing, uplifting the community as a whole. 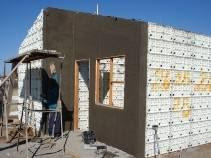 Local entrepreneurs and building contractors receive Moladi training in the use of the formwork system, and subsequent technical support with ongoing on-site training. Moladi employs about 20 people at its factory in Port Elizabeth. Other than its local operations, it is active in more than 20 countries including Zimbabwe, Botswana, Namibia and Mozambique in southern Africa; Tanzania in East Africa; Ghana in West Africa; and Mexico, Panama and Haiti. Botes is currently looking to build a plant in India. Despite Moladi’s international success and cost-effectiveness, the South African government’s reconstruction and development programme housing projects, notorious for their late delivery and poor quality due to rampant cost-cutting, have not made much use of the system to help address those problems, said Botes.